upcoming session on Sunday/March 24 is full. additional afternoon sessions have been added on Saturdays March 16 and April 13 at 1-3:30pm plus Sunday morning, April 28, 10am-12:30pm in the downstairs studio at 33 Hawley Street. Poetry Critique Meet-up is a chance for poets to give and receive immediate constructive feedback on their poems by everyone in attendance. Learn what is working in your poems, and what may need revision. Contribute your observations to other poets. Be fascinated by the breadth of the written word. Moderated by poet and translator Michael Goldman. After registering, participants will be informed how many copies of their poems to bring. 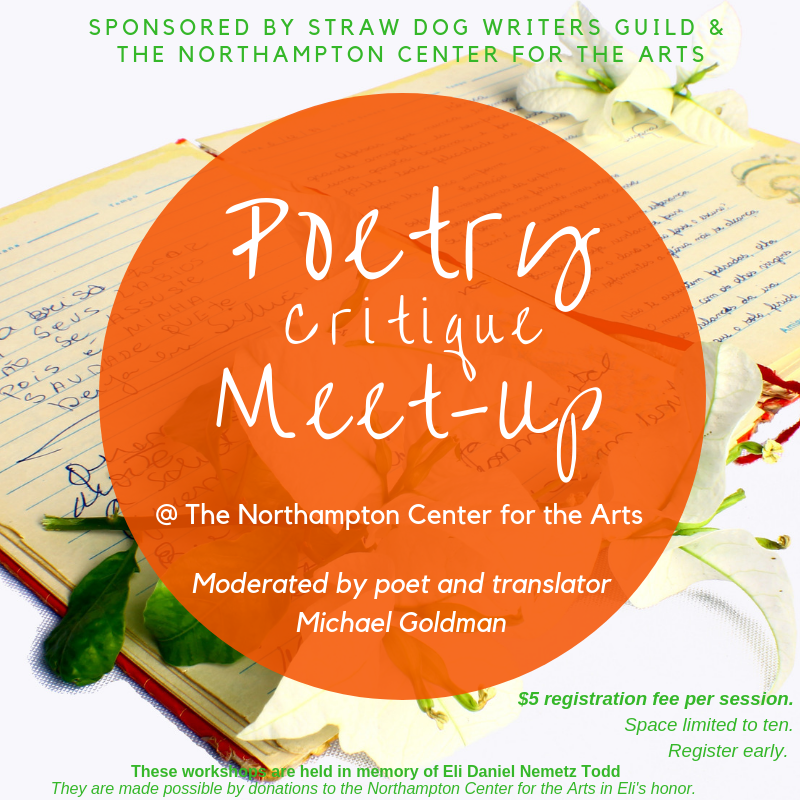 Poetry Critique Meet-up is a collaboration between Straw Dog Writers Guild and the Northampton Center for the Arts. 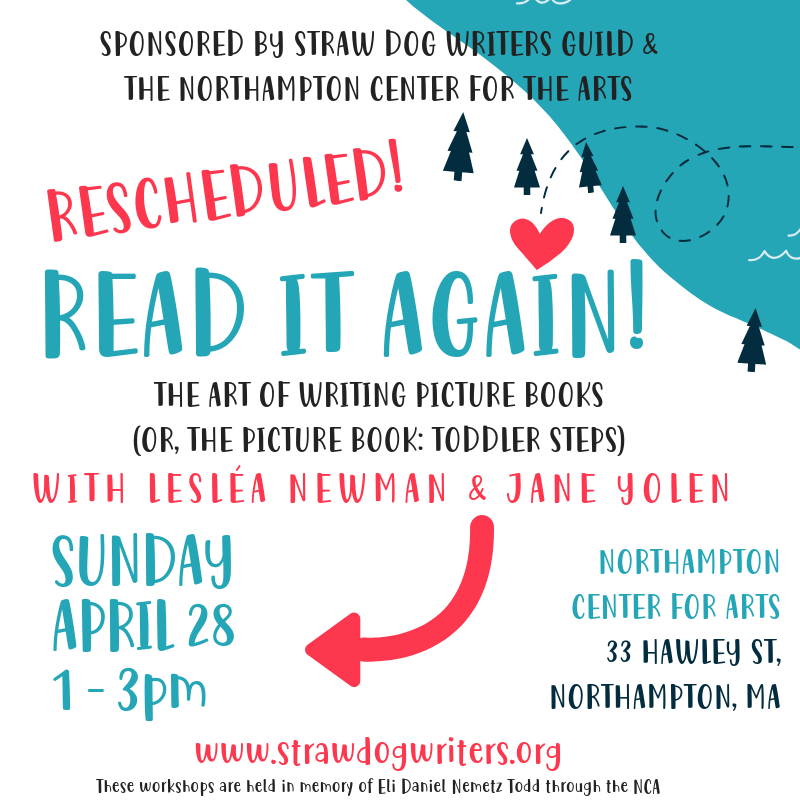 This program is funded by gifts in memory of Eli Daniel Nemetz Todd, a writer born and raised in Northampton, who died in October 2016 at the age of 23. During and after college, Eli spent three summers working for the Young Writers Workshop, a residential program for high school students run out of the University of Virginia. At the time of his death, Eli was living in Brooklyn, continuing to write, and working as a barista while he contemplated his future. He was considering returning to school for his master's of fine arts. We are pleased to honor his legacy by creating affordable opportunities for members of the community to engage in a diverse series of writing experiences with dedicated and talented instructors. Sunday, April 7, 10am-12 pm in the downstairs studio at 33 Hawley Street. Space is limited!